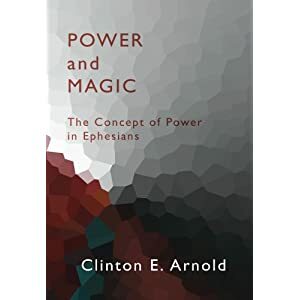 Clinton E. Arnold, Power and Magic: The Concept of Power in Ephesians (Baker, 1992). By studying the ancient city of Ephesus and its practice of magic, Arnold unlocks the key to much in the book of Ephesians. Unfortunately, this book is out of print. Clinton E. Arnold, Powers of Darkness: Principalities and Powers in Paul’s Letters (InterVarsity, 1992). John C. Maxwell, The 21 Irrefutable Laws of Leadership: Follow Them and People Will Follow You (Thomas Nelson, 1998). Kenneth Scott Latourette, A History of Christianity (2 Volumes, Harper, 1975). Strictly speaking, this book is not just about missions, but Latourette does pay much attention to the spreading of Christianity. Highly inspiring reading. AAAA Order Part 1! Order Part 2! Stephen Neill, A History of Christian Missions (Penguin, 1984). J. Christy Wilson, Today’s Tentmakers: Self-support – An Alternative Model for Worldwide Witness (Tyndale, 1984). Perhaps I included this book more because of J. Christy Wilson than because of the topic of the book. Whether you are thinking of becoming a ‘tentmaker’ missionary or not, this book is a good read. Ralph D. Winter & Steven C. Hawthorne (eds. ), Perspectives on the World Christian Movement: A Reader (revised edition; William Carey Library, 1999). This is a collection of articles and chapters from a multitude of sources on various topics related to missions. It deals with the biblical, the historical, the cultural and the strategic aspects of world missions.